contractors for all your home renovation needs. your projects base on description provided. Get your home renovations done by talented professionals, stress free with our simple process. Post your project today and help is on the way! 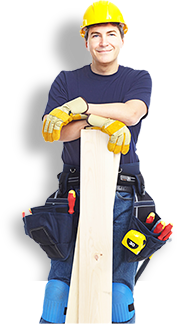 Is to make it easy to find, hire and manage affordable contractors for all your home renovation needs, at the most affordable price with the highest level of satisfaction. To one day be the largest outsourcing resource platform, delivering residential renovation and construction services that will set a high standard of excellence, integrity and professionalism for the renovation industry. We promote and support our users who strive to maintain integrity, honesty and professionalism with each engagement, building up our communities project by project. Excellence, Integrity, Honesty, Professionalism, Inspirational, Service, Innovation, Commitment, Community and Loyalty. RenoOffers is a bidding platform where clients can, not only communicate but also negotiate with several contractors on the cost of renovation projects hence the name RenoOffers. Convenience of listing your projects to professionals of multiple trades and talents. Include the ideal budget for your dream project. Bids listed can be made private or made open to contractors. Get FREE estimates through email. Review contractor profiles, homeowner feedback and community ratings before making a final selection. NO obligation after selection of contractor. ALWAYS FREE to list projects. Q: Why should a Contractor join RenoOffers.ca? RenoOffers.ca provides Contractors with the ability to access project leads and provide project estimate without driving all over town just for a FREE estimate. RenoOffers.ca is an excellent way to promote your business at a fraction of the cost of printing expensive flyers that yield low returns. Q: What are the benefits of being a Contractor with RenoOffers.com? Q: Should I still bid on projects with budget set too low? Yes. To place a bid is FREE! You should place a bid at the price that you are willing and able to render service for. DO NOT place bids where it is deceiving or misleading to our clients, as doing so is unethical. Do I have to pay a fee to post a project? No. To register is FREE. Convenience of listing your project to several contractors. Include your Budget amount for project. Bids received maybe hidden or made available to contractors. Get FREE estimates through emails. Review contractors profile and feedbacks before making final selection.